What They Want Now--Candy Inspired Styles! Blame it on Halloween or just blame it on kids being kids and loving anything that resembles a sweet treat, but the little girl styles these days are being inspired by CANDY! 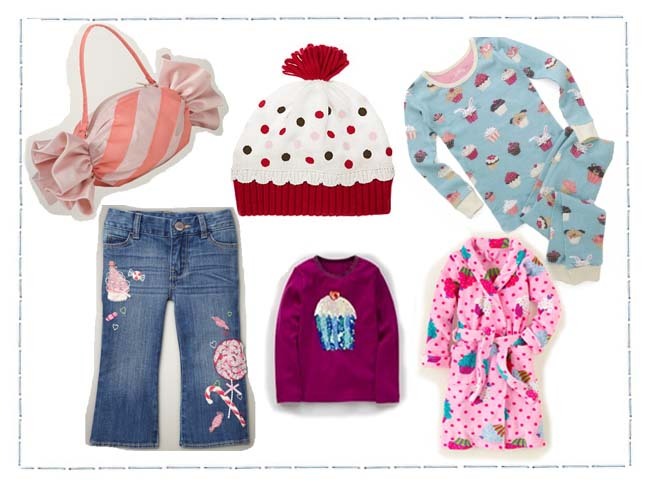 Yes, everyone’s favorite desserts are being featured on everything from bags to socks to pajamas to t-shirts and personally, I can’t think of anything cuter than a sweet design! So take it from me and start stocking up on these dessert-inspired designs for stocking stuffers and birthday gifts because I don’t think the allure of candy is going away anytime soon…in fact, time for a lollipop break!